Panama-based Prival Bank is implementing a new core banking system, Temenos’ T24. It will be delivered on the Microsoft Azure cloud. Temenos says Prival Bank is its “first regulated wealth client in the cloud”. Go-live is scheduled for 2018. The contract was signed in late 2015, it is understood. 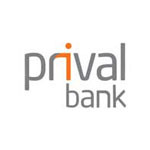 T24 will support lending and deposits at Prival Bank. The bank is also implementing the vendor’s front-end offering, Temenos Connect; business intelligence/analytics software, Insight BI; and AML tools. On the way out is the Integrated Banking System (IBS) supplied by regional vendor Datapro, Banking Technology understands. There are two other known customers of Temenos in the private banking/wealth management space that have opted for the cloud-based T24. These are Euro Pacific Bank in the St Vincent and the Grenadines and Turicum Private Bank in Gibraltar. Euro Pacific is a greenfield project. It is expected to go live with T24 later this year. Turicum Private Bank went live with the new system in early 2017. T24 replaced ERI’s Olympic core banking system. Turicum Private Bank in Gibraltar is live with new core banking software, Temenos’ T24. The system is delivered on Microsoft Azure cloud.